The October meeting is a working evening. 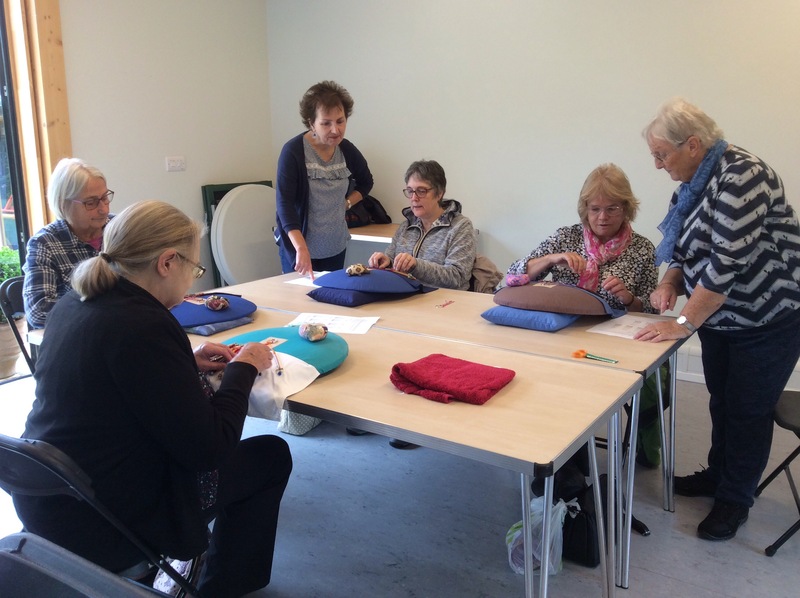 We celebrated the occasion by holding a lace demonstration and workshop at the Norris Museum in St Ives. 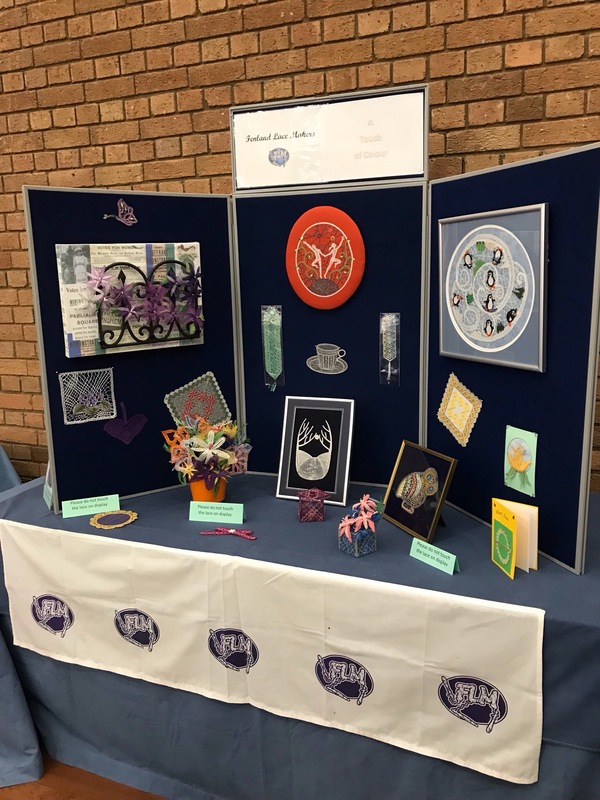 A number of visitors successfully completed key ring tags, and were all very proud of their first piece of lace! 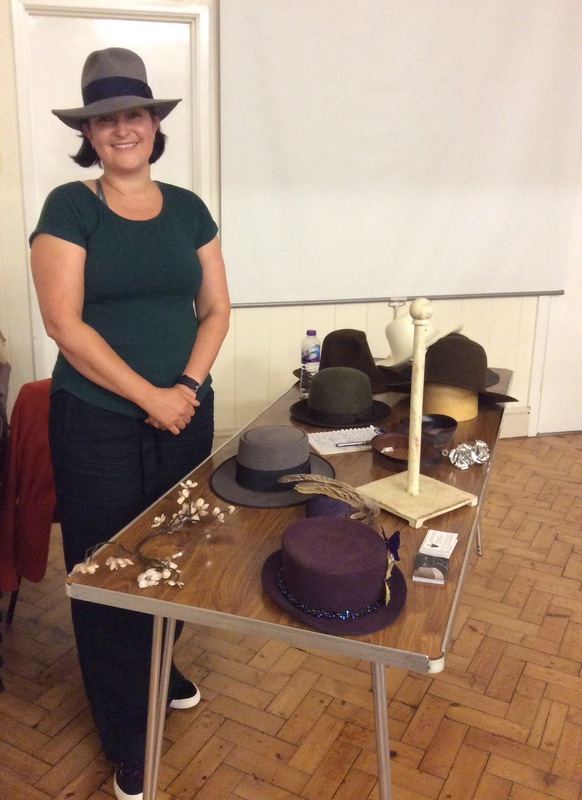 A fascinating evening learning all about the craft of millinery and hat making from Michelle, and viewing some of her fabulous creations. 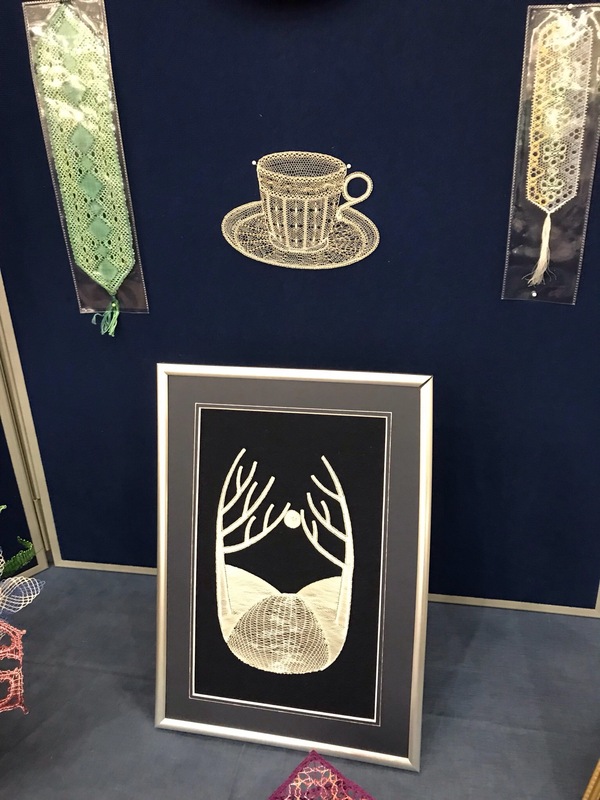 The Autumn season of lace…. 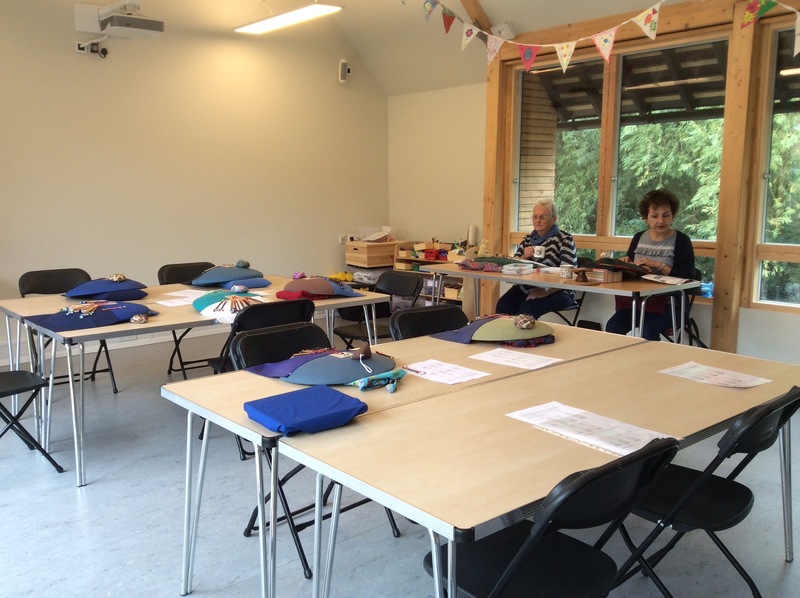 The June meeting will now be a working evening, so bring your lace pillow along on 7 June. After the business matters were out of the way we worked on our latest projects. 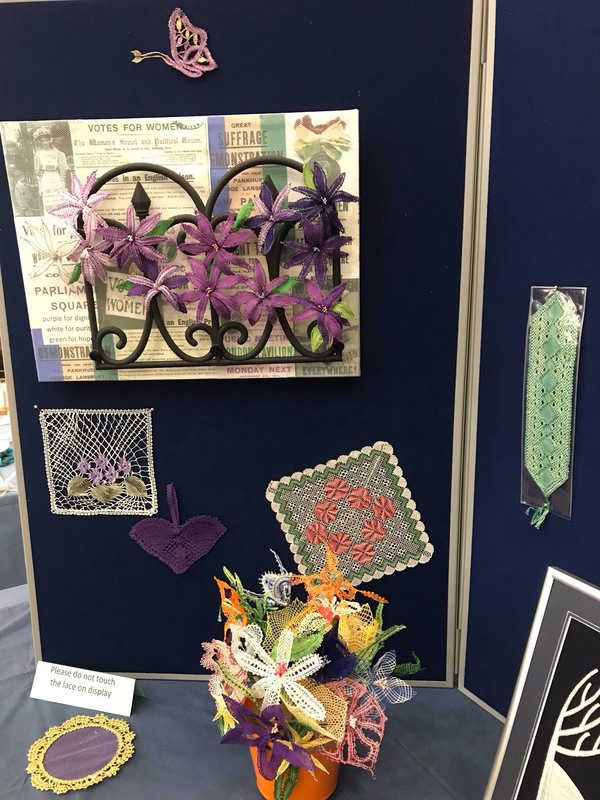 Some of us continued with the quadrant designs we began in April. 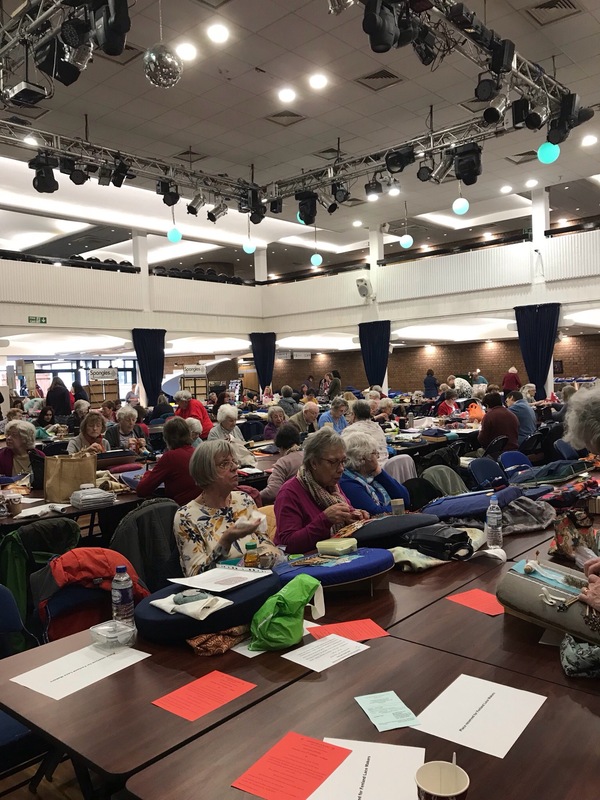 The May meeting is our AGM and also a working evening. 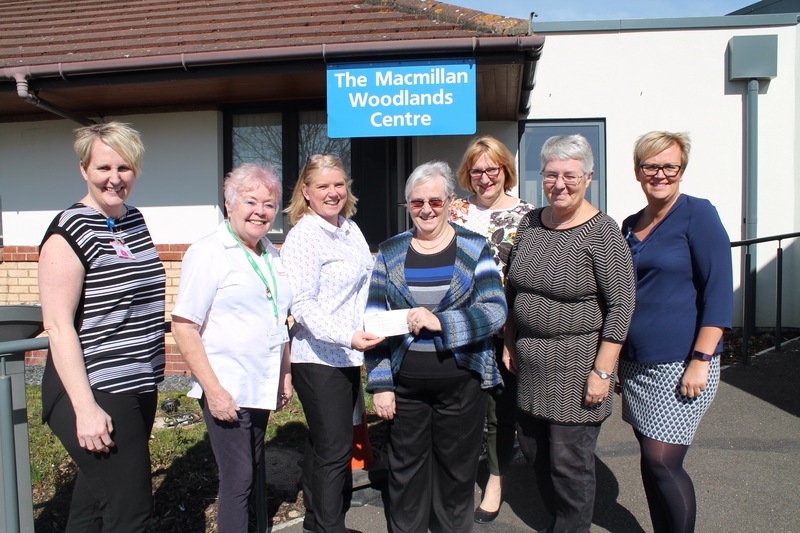 This week Kath and Pat were able to present The Woodlands Centre with a cheque from the proceeds of our Lace Day raffle. 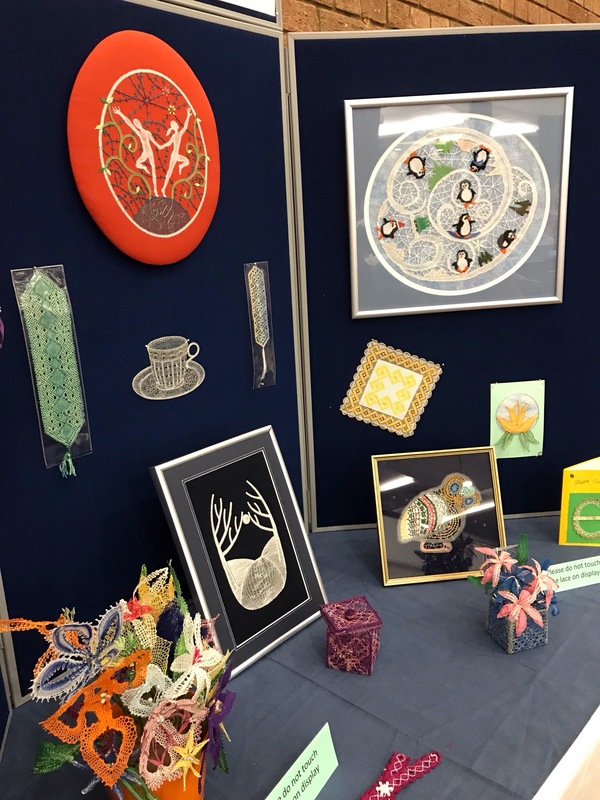 Design a Lace quadrant at our next evening meeting on 5 April. Scissors to cut paper, pencil and eraser and a Pritt stick glue if you have one! If not, some scissors, glue and pencils will be available to share. The design process will be simple and you should all end up with an individual design that will be ready to work. 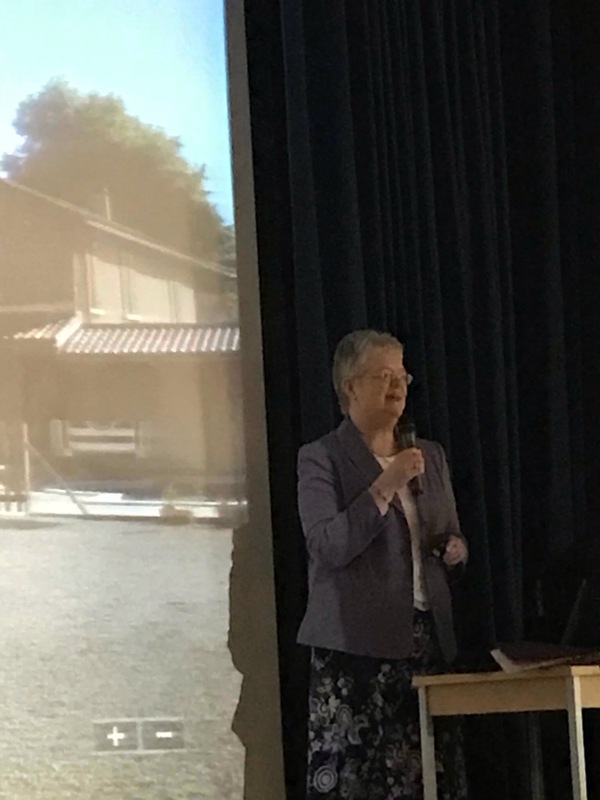 The second part of Rev Jayne Shepherd’s talk “Un travail magnifique” about her lace sabbatical trip through Europe, and our exhibition on the theme A Touch of Colour.